Mr. SAKUMA, Makoto (a Japanese painter) has drawn hundreds of cover arts and illustrations for books, which span genres including mystery novels, science fictions, serious literatures, jidaigeki novels, how-to books, etc. His versatility and the awesome power of his expressions deserve special recognition. A robot picture he drew attracted great attention, and it resulted in holding a solo exhibition at a gallery in Ginza, Tokyo. Since then, the exhibition has been held annually for more than 20 years. Then, the "Cats" series, developed through his exhibitions, was realized as a picture book series that he co-authored with Dr. MORI, Hiroshi, the legendary active novelist in Japan. 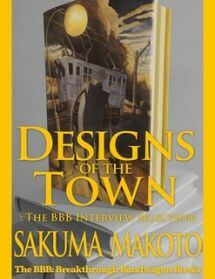 This interview session with Mr. SAKUMA includes many book cover arts, illustrations, secrets of his creations, and his life story. 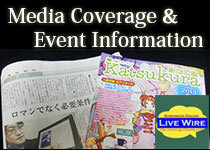 Also, Mr. Ryosuke Akizuki, the author of "The Gifted" series, is the guest interviewer. This amazingly gifted painter named SAKUMA, Makoto is the one to be recognized globally. 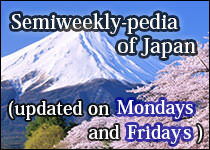 This interview was exclusively conducted as one of the made-in-Japan contents belonging to The BBB: Breakthrough Bandwagon Book.